When your child reaches the “toddler stage”, this is considered their first milestone in life. 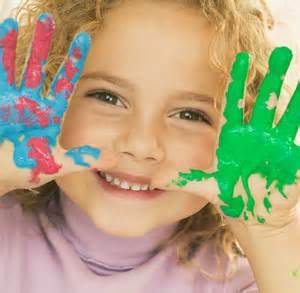 Its natural and instinctive for toddlers to express themselves through play. They may need guidance, but this isn’t necessarily until they have a more expected outcome. Getting creative with your tot is primarily important because it helps them explore the world around them, while also learning what their interests are. Working with toddlers is both fun and challenging. With toddlers, you will want to remember less is more. This is true regarding the structure you give them and the materials you bring to the table. The whole idea isn’t to guide their activity along and make sure it goes smoothly, but you are there to make positive comments throughout their creative journey. 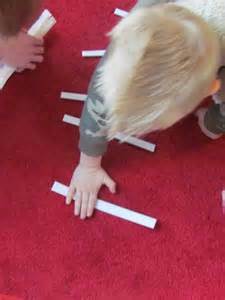 When doing these three activities, ask your toddler to describe what their doing and you will be surprised what they come up with. Resist all temptation you have to impose any interpretations on what they are choosing to do. Many toddlers bore quickly, but it will help greatly if mom or their caretaker shows much interest in what their supposed to be doing. This is awesome for motor skills! Grab an empty container with big holes at the top (dry herb container, glitter container, ect.) Then grab pipe cleaner in different colors and cut them into one-inch pieces. 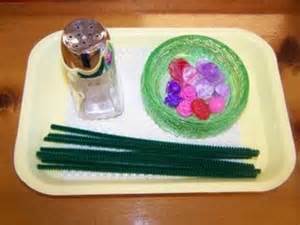 Let your child have a ball by placing pipe cleaners in and out of the top of the container. This is great for children who love looking for things. 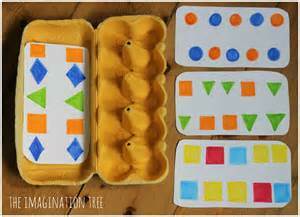 Grab colored paper, an empty egg container and cut up to twelve shapes out of the paper. On each compartment of the egg container, tape the proper shape that your child needs to obtain from somewhere in the house. Hide the paper eggs and then when your done, find them with your child, having them place each shape in the correct compartment. If you have carpet in your home, this will be your go-to activity. Grab cookie-cutters and utensils from the kitchen. Show your child that using the cookie cutter on carpet makes a fun imprint and can be erased. Experiment with different utensils to create all different sorts of shapes on your carpet. The best part about this activity is they can do it themselves!